Gary Yates says seamer Glen Chapple, who has taken charge of Lancashire, has the attributes to be a top coach. 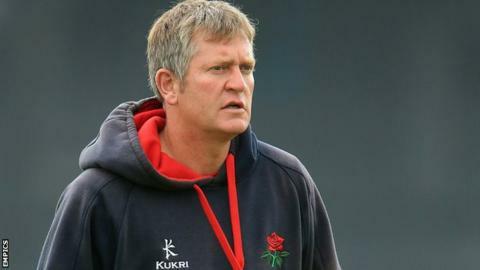 Chapple, 40, will be in charge for the rest of the season after Peter Moores left to become England head coach and will be assisted by ex-spinner Yates. "Chapple has got a lot to offer," Yates, 46, told BBC Radio Manchester. "He's got a lot of qualities that a head coach requires. He's strong, he's got passion and he's got knowledge. I'm delighted I'm there to help him out." Yates spent more than a decade as a player at Lancashire and has been on the club's coaching staff for several years, predominantly working with the second team. And he is pleased that Chapple has been given an opportunity to prove himself in the role of head coach following Moores' departure. "I've learned a lot from Peter and it [his appointment as England head coach] didn't come as any surprise because, in my eyes, he is the number one coach in England," added Yates. "Glen's similar, in that he learned a lot from Peter, and it's good for Lancashire that we are promoting from within. "It might seem like change for some people, but for us, it's not. It's just continuity."